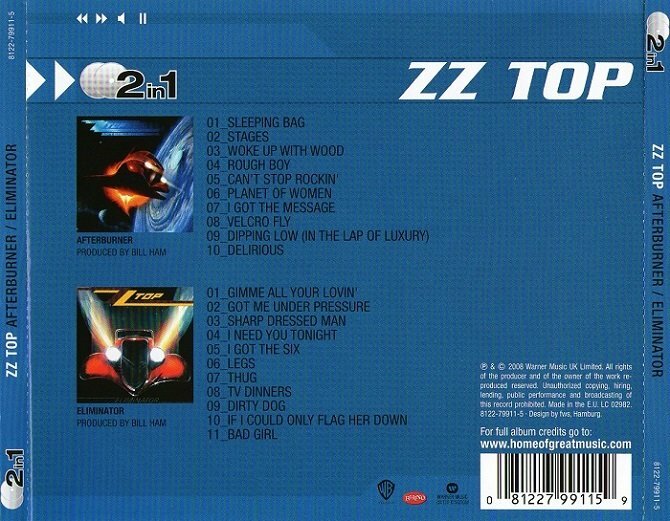 Afterburner is the ninth studio album by the American rock band ZZ Top, released in 1985 (see 1985 in music). Afterburner was a financial success, going several times platinum and launching several hit singles, the most successful of which was "Sleeping Bag" which peaked at No. 1 on the Mainstream Rock Tracks and at No. 8 on the Billboard Hot 100. 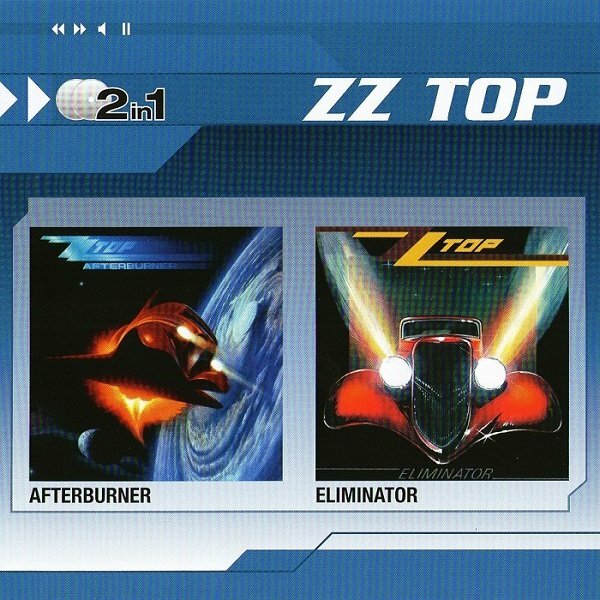 Eliminator is the eighth studio album by the American rock band ZZ Top. It was released on March 23, 1983, by Warner Bros. Records. Recorded in Tennessee during 1982, the album was produced by the band's manager Bill Ham and peaked at the top of the charts in many countries. "Gimme All Your Lovin'", "Got Me Under Pressure", "Sharp Dressed Man", "TV Dinners" and "Legs" were released as singles. 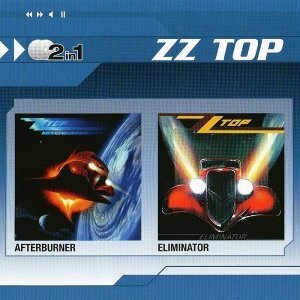 A Diamond certified album, Eliminator is ZZ Top's most successful release with sales of over 10 million copies in the United States.